I feel this First Reading in my bones. Naaman the leper was sent to Elisha the prophet. His problem was pretty obvious and Naaman had the reasonable, faith-filled expectation that he would be physically healed by the holy man. But instead of waving a magic wand, Elisha sends him to wash in the Jordan river—not once but seven times. Say what? Naaman had already travelled some distance, already suffered so long, why didn’t God heal this “valiant” man on the spot? Why the ordeal? The repetition? I’ve thrown more than a few of my own tantrums with the Lord when He failed to give me what I wanted, when I wanted it, in the way I wanted it. But that’s just not the way it works. We have to cooperate with the Lord for our healing. Think about forgiveness. Have you ever been able to forgive someone once and for all who deeply—maybe even repeatedly—hurt you? Me neither. I have to go back to the river and wash again. And then again whenever it resurfaces and the wound is reopened. The asking, the journey, the repetition is all for a purpose. The Lord is after complete healing. Lasting change. He doesn’t do anything halfway, and it’s not usually a quick fix. But I’ll take the fullness over the fast any day. 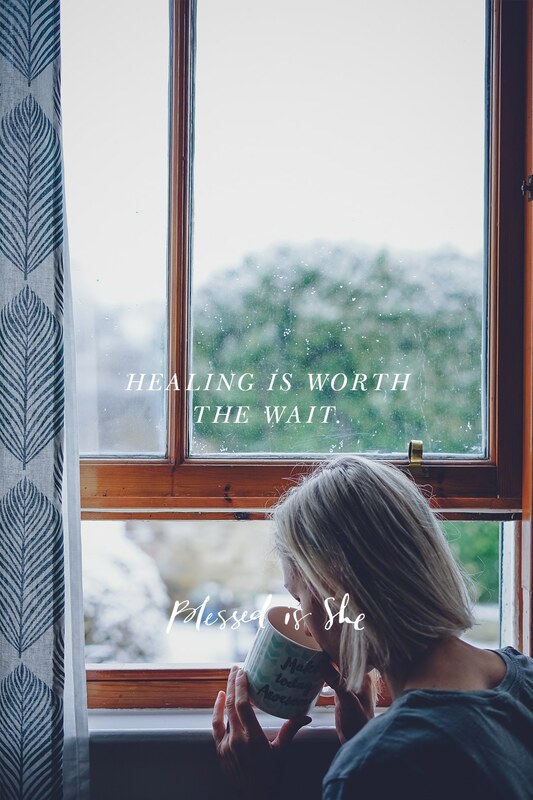 However long it takes, however the healing comes, it’s worth the wait, friend. It’s worth the effort. And you’re not on the journey alone. I’ll be right beside you walking my broken, believing body down to the river once more. Sit with this notion of walking down to the river again. Journal through it. Pray on it. Ask Our Lord to guide you back and back. This speaks volumes to me, Beth! Thanks so much for this relevant reflection as I drag my broken body and soul to the river once again, but with renewed enthusiasm thanks to your words. Blessings! Praise God! I’m right there with you this morning. Praise God! I am right there with you this morning. Absolutely beautiful. I am SO glad to have read this today. I was having an anxiety moment today and I ended up making it to Monday Mass for the first time and the reading hit me like a freight train. Thank you for even further clarifying what I was thinking! !